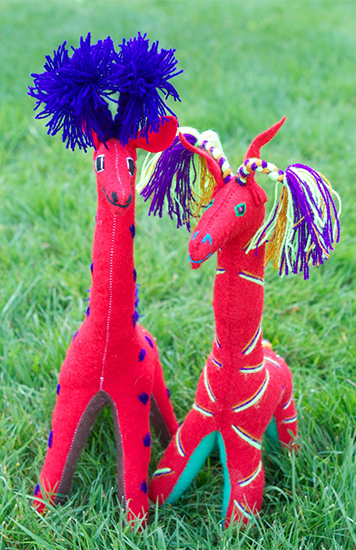 I wanted to buy a red giraffe to commemorate the success of my Strava giraffe. How I ended up with two is a tale of incredible sadness. 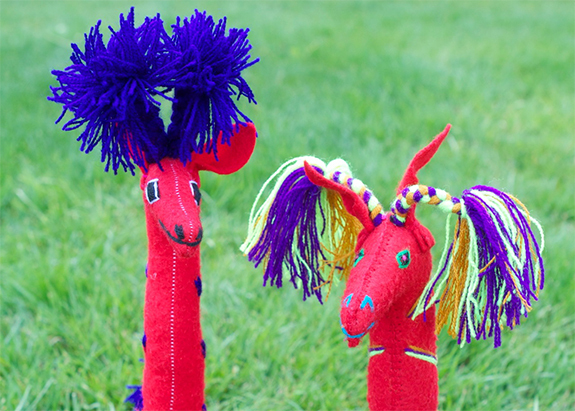 BTW, that’s Garmina on the left and Geoffrey on the right. Two weeks ago, I was broiling on a Sayulita beach when a trio of Mexican girls no older than 10 approached with armfuls of handmade stuffed animals – lions, monkeys, zebras and giraffes, all cute and brightly coloured. One of the girls inched forward to show her wares. “¿Tiene una jirafa rojo?” she asked. The young girl dropped her bundle of stuffies in the sand. “Espera,” she said, and then she disappeared into the tangle of tourists and palapas that lined the beach. At least half an hour had passed before her friends, who’d been lingering nearby, dashed over with a red giraffe in hand. They pointed toward another vendor to show where they got it. I hesitated – I really wanted to buy from the girl who’d originally approached us – but our time to say bye to the beach was nigh, so I dug through my backpack for 150 pesos and took possession of one red giraffe. I named him Geoffrey Pedro Stravinsky – GPS for short. Twenty or so minutes later, as we were shaking sand out of our towels and packing our beach bags, who should reappear but the original girl, breathless and beaming and clutching a red giraffe! When I held up Geoffrey to show her I’d already bought one, she crumpled. Her shoulders dropped and tears welled up in her eyes, and as she slumped slowly away her friends crowded around to console her. I called her back, and in broken Spanish my wife sussed out what had happened. Determined to get me una jirafa rojo, the girl had run all the way home and asked her mother to make one. She watched and waited while her mother stuffed and sewed, and then she raced back to deliver the goods. Her sadness was unbearable. And that is why I left the beach that day with two giraffes – Geoffrey and his hastily fashioned companion, Garmina Paprika Sayulita (also GPS for short). This entry was posted in gps art and tagged animals, crafts, creativity, garmin, giraffe, gps art, mexico, Sayulita, strava, strava art. Bookmark the permalink. 3 Responses to ¿Tiene una jirafa rojo? What an interesting experience. Never heard anything like this before. Great picture of GPS the giraffe. I couldn’t believe she’d run all the way home to have her mom make me a red giraffe. Five-star customer service from a 10-year-old selling stuffed animals on the beach!